“That’s great! That’s just great! You’re certifiable! Do you know that, Quint?” Brody (Roy Scheider) hollers after Quint (Robert Shaw) smashes the boat’s radio (no more calling in for a bigger one) with a baseball bat. I replayed that “Jaws” scene endlessly in my head on the way back from Catalina as my dive teacher filled out my diver certification card. I am by no means “good” at diving, but I am no longer afraid of bleeding ears or the large sharks attracted by the ribbons of blood pulsing from my exploding lungs. The ocean is beautiful—heart-rendingly so. But I don’t want to disturb its inhabitants. I don’t want to shine flashlights in crevices to see lobster, or play with sea cucumbers. Even as I thrilled at the glimpse of a retiring purple octopus curled up in a rock hole, I felt a rush of feeling for the little guy. I know that octopus LIKE to be left alone. And lobsters seem to value their privacy as well. 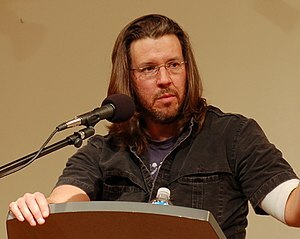 I felt glad that I would be teaching David Foster Wallace’s “Consider the Lobster” in the morning. How do I commune with animals, while not interfering with their nature, their ways of being? It’s not that animal rights guilt precludes my enjoyment of the natural world, but thoughts about animal consciousness increasingly shape my experiences. (Check out more of Koko’s insights in this fascinating argument for the personhood of gorillas). More on this idea of displacement & communion soon. The sea hath ignited in my mind the power and glory of language while it seemed to have sapped the very marrow from my bones.